​The much anticipated sequel to Fantastic Beasts and Where to Find Them is only months away, and with the success of the first film, The Crimes of Grindelwald has very high expectations to live up to. 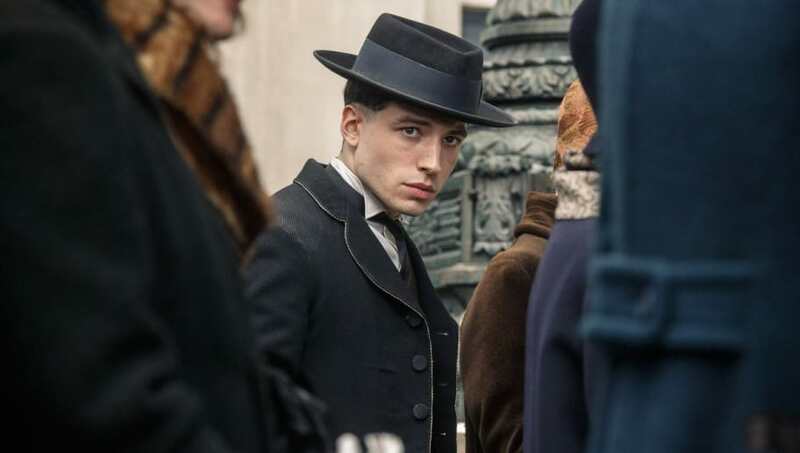 And star Ezra Miller, who plays Credence Barebone, has just given us even more reason to look forward to the film. At the Middle East Film & Comic Con (MEFCC) on Saturday (April 7), Miller ​spoke of the sequel, calling it "delightful." “Oh, it’s delightful. Oh my gosh. Once I learn how to time-travel, which obviously I’m working on pretty hard, I’m going back and I’m going to tease my nine-year-old self. My nine-year-old self is going to punch me in the face, because he’s going to be like, ‘Dude, just tell me what happens!’ No,” he said, laughing. Miller continued, saying the next in the series “will continue to evolve to be something very shocking, challenging and beautiful.” He also sweetly shared he will "never ever" being a huge fanboy of J.K. Rowling. Us, either! “Always there’s this reverence that remains, for her and for what she’s done,” he said. Retweet. Fantastic Beasts: The Crimes of Grindelwald will be released on November 16, and we already know whatever happens in it, we're going to be obsessed! How could you not when it comes to this cast, story, and the Wizarding World?